This class will focus on the fundamentals essential to oil painting. 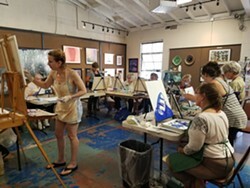 Emphasis is placed on properly starting a painting and the relationships found within a subject. All levels welcome.